Blake Shelton and Miranda Lambert Cheating and Breakup Rumors Have Merit: Is Blake Trying Too Hard To Deny Them? Is Blake Shelton trying too hard to deny the rumors of trouble in his marriage to Miranda Lambert? Usually, celebrities never react unless they’re trying to hide something, and Blake’s actions are coming off a little too try-hard for them to seem completely genuine. 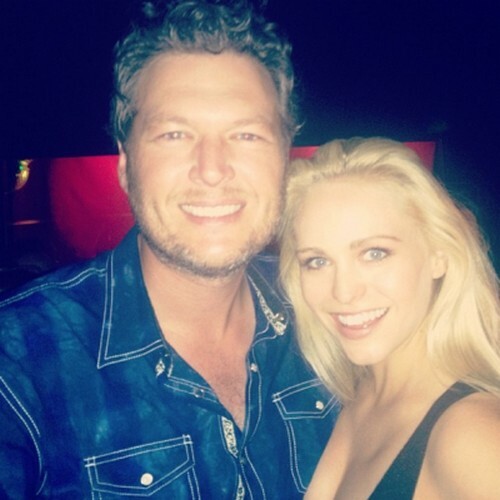 As we know, the tabloids have been going crazy over the last few months in regards to Blake’s and Miranda’s marriage. They’ve reported on Blake flirting with Christina Aguilera, fighting with Cher, cheating on Miranda, and divorcing Miranda – in a $40 million dollar battle, no less. While it’s nice that he’s taking everything humorously and not threatening to sue [which other stars usually do], I’ve never seen major celebrities [the Kardashians don’t count] react to tabloid rumors unless there’s actually some truth to them. Because really, why bother, right? The tabloids are going to spread rumors like they always do, and they usually only catch the attention of the celebrity whenever they somehow manage to hit jackpot with the truth. In this scenario, I don’t think all of those aforementioned rumors are accurate, but I think one of them is. Blake obviously isn’t going to give away which rumor hit home the most, especially since he tweeted about all of them. But since we’ve been hearing about it the longest, would it be any surprise if the rumors about trouble in his marriage ended up being true? Blake Shelton and Sheryl Crow Cheating on Miranda Lambert?